Whether it’s a bus or self-drive day tour, or if you’re after a wedding or work conference, Bestbrook can provide you with great hospitality and a day to remember. Conferences and tour groups love to visit Bestbrook and have a hands-on experience of farm life, with many interactive activities such as a wagon ride with a guide telling a few stories along the way and local history. Adult groups enjoy reminiscing about the last time they were on a farm and chatting with the owners about the surrounding area and farm life. Wander through the Coach House grounds and stables and be taken back in time with all the collectables that have been gathered by the resident picker and owner of Bestbrook. 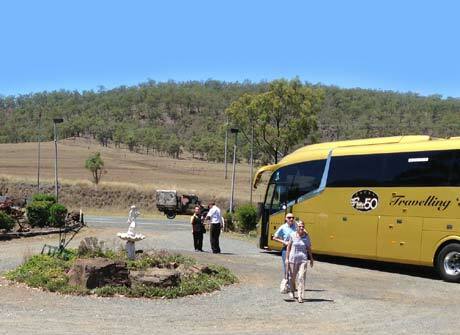 Bestbrook welcomes day tour bus/coach groups. It’s a great way for your group to experience a slice of country life. Wander around the property, check out our collection of old machinery and all the treasures from yesteryear hidden throughout the Coachhouse. We are only too happy to tailor a menu to suit your groups’ individual needs. Looking for a country wedding and reception venue that can do it all? 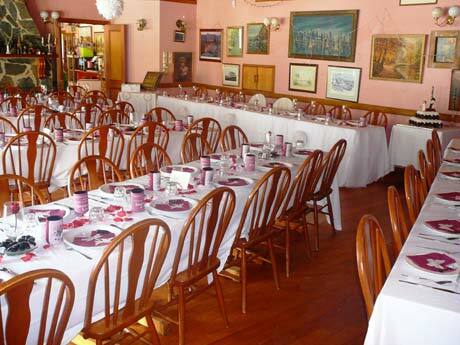 Bestbrook has just the right country wedding setting and atmosphere for you. Our country wedding and reception venue provide a unique backdrop that includes some of the most spectacular mountain scenery in Queensland, making for unique country wedding photographs. Your special day is special to us too. We can provide reception catering for 30 to 65 guests in our Coach House or larger numbers in a marquee with flexible with menu choices, everything from light refreshments to three-course dinners, making your country wedding and reception memorable for all the right reasons. There is a range of accommodation options to suit everyone’s budget. Local celebrants and photographers available. Contact Us for more information on Bestbrook as your country wedding and reception venue. Looking for a country conference venue within easy driving distance, Bestbrook is perfect. Located only 75 minutes from Ipswich and Toowoomba, 90 minutes from Brisbane and 2 hours from the Gold Coast. Our country conference venue provides a unique backdrop that includes some of the most spectacular mountain scenery and rural surrounds. 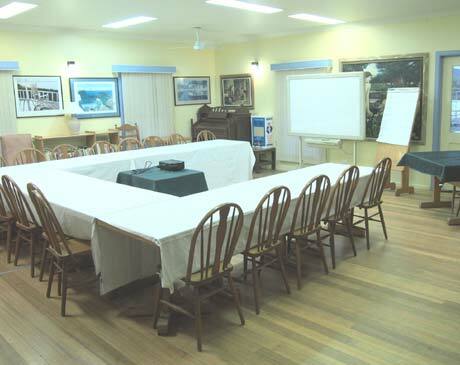 Wi-Fi, digital projector, whiteboard and flip chart available. We can provide catering for up to 30 guests flexible with menu choices, everything from light refreshments to three-course dinners in our licensed restaurant. Accommodation options to suit everyone’s budget.